Healthcare organizations like the Mayo Clinic, Procter & Gamble and GE Healthcare are integrating design thinking into their company culture, in order to boost innovation and bottom lines. 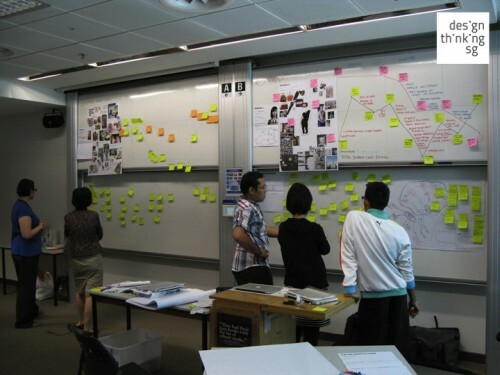 A 2003 Danish Design Center study showed that over a five-year period, companies using design thinking had a 40% revenue boost over companies who had not made the transition. But how do you bring design thinking into your organization? Large healthcare organizations can benefit both from hiring in-house design thinkers and from training their entire staff to think like designers. Training workshops are geared toward changing the corporate culture and the way individual employees think about problems and solutions. Employees use various techniques, such as comic book reading, writing a haiku and mapping patient experiences, to open their minds to new ways of thinking. The first steps in design thinking are often uncomfortable for businesses. Employees are used to thinking of solutions and not concerning themselves with the process by which they reach them or taking into account the full user experience. But when management is on board and supports the efforts of the training team, employees quickly learn to enjoy the sessions and to see how design thinking can help the business grow. In the United States, Proctor & Gamble facilitates design thinking workshops that bring together employees from across its departments, including R&D, market research, and purchasing. Employees are taught to use design methods such as visualization and prototyping to solve real problems for the company. As a result of these workshops, P &G has seen a significant rise in ideas and products inspired by design thinking. GE Healthcare has an in-house team of 60 working on solving healthcare issues, utilizing the principles of design thinking. Employees are rewarded not just for finding solutions, but for the traits that led them there, including clear thinking, inclusiveness, and imagination. The team has found creative ways to make medical procedures more pleasant for the patient, reducing stress and improving overall health. For some companies, an in-house team or internal workshop is not the answer. Instead, they bring in consultants from design thinking companies, who specialize in training employees to consider themselves designers. They bridge the gap between the process-driven and the design-driven and show all staff members how they can truly innovate and improve healthcare for patients, doctors and supporting medical personnel.